Ever wondered why realtors are still in existence? The trend of buying your own home online is fairly new, so if you find yourself asking why the internet could never bring out the inner realtor in you, you are forgetting that the internet greatly helps you browse though the details of the house, but it can never match that with the agent actually taking you on a tour of it. And if you do find yourself preferring the solo online option, trust me, you will soon change your mind. Below are the reasons why one should opt for a realtor in Palm Beach County. So you have priced your home logically and that is a great step, but what next? Every stage has to be carefully planned. It is never easy finding a place that you can call home, not to mention the support that is required for following the legal formalities. That is why the FAQ’s regarding the Real Estate Market in South Florida are always packed with inquisitive buyers and sellers, whereas realtors have spent their careers finding out the answers. A realtor’s job is to be the liaison that links the sellers and buyers. This also means that a real estate agent can easily track down homes that match what you are looking for, and arrange for an appointment with the sellers agent anywhere in Palm Beach County. If you do all that on your own you will be squeezing this important task in the confines of your ‘free time’ and there is the potential chance that the sellers might move on, assuming you are not interested due to the delayed response. For realtors that is a full-time job. Many people avoid direct real estate deals with the sellers. The relationship is too transparent on both fronts as both the parties stick to their best interests. A realtor however is fluent in the language of transactions without making it seem too personal. Don’t worry, your interests are made vocal and what’s more, you will know what to comment on out loud and what not to (for all you know the ugly-looking wallpaper in the house may hold some sentimental value for the seller, why jeopardize the chance to build a good seller buyer relationship by expressing it) . Your realtor will have no trouble with conveying your thoughts and using them to put you in a better position to negotiate. The realtor will automatically frame in his head all the things that will need to be done by the end of the deal. For instance, the reason to get a Purchase Contract is so that if the seller does not hold his end of the bargain on certain things you can simply back out, instead of bearing with it. And it’s not just that, an experienced realtor will let you know the things that are inclusive in a contract, and the things that you can rightfully add to the contract before it is drafted. There are people who are hesitant on investing in realtors but think about it for a second; why try to save money on something that will stream through long-term drawbacks later? In fact, you are actually playing it safe and benefiting from getting a realtor to buy your house for you in any place like Jupiter, Palm Beach, Juno Beach, Singer Island, etc. The licensed Realtors in Palm Beach County are bound by law to work for their client’s best interests, and not their own. If you think your realtor could have done better you can actually validate in court that your agent failed to uphold the duties he is licensed to fulfill. 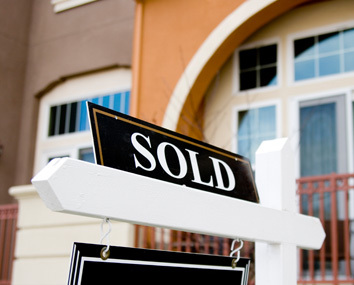 ‹ Buying Real Estate in Palm Beach County? Must Read!